Dr. Kutis grew up in Chicago and earned her doctorate from the University of Illinois at Chicago College of Dentistry in 2006. Following the completion of dental school, Dr. Kutis completed a year of General Practice Residency at the University of Colorado. During her year of training, she pursued more complex dental and medical case management and became skilled in IV sedation, wisdom teeth extraction, dental implant placement and restoration. Afterward, she became Director of the General Practice Program and an Associate Professor at the University of Colorado. Dr. Kutis was recognized as a “Top Dentist” by Denver’s 5280 Magazine. Additionally, she was featured in the “Guide to America’s Top Dentist” by the Consumer’s Research Council of America in both 2012 and 2013 and was given the 2015 International Association of Dentists Award . Dr. Kutis was named “Top Dentist” in Chicago in 2015 and 2016, and "Top Dentist" in Denver for 2017. This recognition stems from her similar philosophy of treating patients with compassion, gentle care and detailed dental work. Committed to excellence, she has invested countless hours of continuing education in order to provide the latest techniques in cosmetic and comprehensive care. Dr. Kutis has completed the core curriculum of the Dawson Academy, which led to her becoming a Dawson Academy Scholar and a member of the Dawson Alumni Academy. Dr. Kutis is also a member of the prestigious Spear Study Club. Not only is she a member of the Spear Study Club, but she is a member of the Faculty Club of the Spear Study Club, an honor awarded to only 1,000 dentists across the country. Dr. Kutis is also a teacher at The Pacific Aesthetic Continuum, where she travels twice a year to teach other dentists how to place veneers and fix larger, complex full-mouth reconstruction cases. 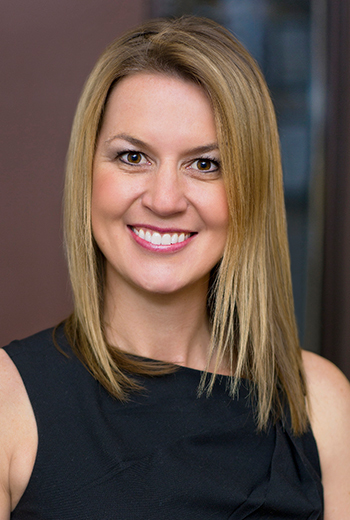 Dr. Kutis was recently featured in 5280 Magazine, acknowledging her excellence in dentistry. Her passion for learning and taking care of her patients keeps her motivated to continue providing excellent dental care! Dr. Kutis is very excited to be back in Colorado, where she enjoys hiking, biking and snowboarding. She looks forward to meeting each and every one of you.